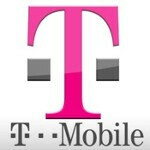 It looks like T-Mobile will be one of the carriers to believe in BlackBerry 10 from the start. We know this because the carrier has already put up a T-Mobile My Account app for BlackBerry 10. The app, available from BlackBerry App World, will help T-Mobile customers view and manage an account that is attached to a BlackBerry 10 device. You can also set alarms and reminders to help you optimize the battery on the phone. We wonder if that is a bad sign for the battery on BB10 that one of the features of the app is battery life management. The app is free. We're not sure if T-Mobile simply ported over their Android app or if this is a native BB app. Not only is it free to install, but time spent on it will not count against the minutes on your data plan. It's a win-win situation. 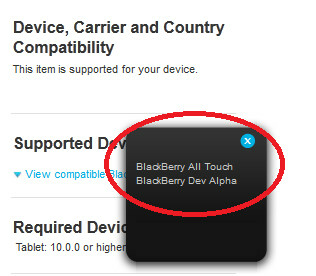 The app will work with the BlackBerry 10 All-Touch device and the BlackBerry 10 Dev Alpha device. As we told you recently, RIM is looking to roll out the Dev Alpha "C" model and also says it will exchange those developer phones for a limited edition BlackBerry 10 handset for those who are building apps for the new platform. So, T-Mobile customers, all signs point toward you getting in on the ground floor with BlackBerry 10. How does that make you feel? I know a guy who can get me the phone super cheap the day it comes out. Luckily In can just pop in my SIM and be ready to go. Only two more months! Blackberry 10 needs to come to Sprint!